RIO DE JANEIRO - Brazil’s far-right President-elect Jair Bolsonaro started rolling out key points in his hard-line agenda Tuesday, including a move to merge the agriculture and environment ministries that activists warned would imperil the Amazon rain forest. 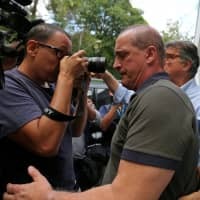 The former army captain huddled with his inner circle at the home of a wealthy backer in Rio de Janeiro to start forming what adviser Gustavo Bebianno called “a combat vanguard” for the new administration. 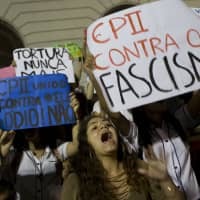 The protesters marched in the evening with a banner reading “Dictatorship, never again” — a reference to Bolsonaro’s outspoken admiration for the brutal military regime that ruled Brazil from 1964 to 1985. In one of the incoming administration’s first major policy announcements, Bolsonaro’s pick for chief of staff, Onyx Lorenzoni, confirmed the agriculture and environment ministries would be combined. His quick reversal will likely raise fears he will stick to his hard-line conservative stance on other issues, too, after dialing back his vitriolic and derogatory rhetoric in the campaign’s final stretch. Activists swiftly condemned the move — a “triple disaster,” in the words of respected former environment minister Marina Silva. “We are entering a tragic time in which environmental protection will amount to nothing. The Bolsonaro government hasn’t even started and the backsliding is already incalculable,” she tweeted. Activists are particularly worried about the implications for the Amazon rainforest, the “lungs of the planet,” which is already losing an area the size of Costa Rica to deforestation each year. Bolsonaro’s top economic adviser, free-market guru Paulo Guedes, also confirmed a decision to create an economy “super-ministry” combining finance, planning, industry and trade. Guedes, who is well-liked by the markets, will head it. The Sao Paulo stock market closed up 3.69 percent on the news. Bolsonaro also doubled down on his most radical proposal for fighting Brazil’s soaring crime rate: loosening gun laws so “good people” can take justice into their own hands. “The country is at war,” he said late Monday in his first interview as president-elect, vowing to lower the minimum age for firearm permits from 25 to 21 and eliminate red tape for gun ownership. “Those who don’t respect the law need to understand they will be held responsible, either before the law or by being taken down,” he said. Bolsonaro also said he wanted to name anti-corruption crusader Sergio Moro as justice minister, or else nominate the judge — the head of the massive “Car Wash” graft probe — to the Supreme Court. Since it was launched in 2014, the sprawling probe has uncovered the large-scale looting of state oil company Petrobras, and landed a laundry list of corrupt politicians and business executives in jail. Moro said he was “honored” and would consider any formal offer — likely to fuel accusations that his investigation is politically motivated. Although politicians of all stripes have fallen in the “Car Wash” probe, Moro has been accused of being particularly merciless on the left — especially former president Luiz Inacio Lula da Silva. Moro sentenced Lula — a hugely divisive but enduringly popular figure who was trying to stage a presidential comeback this year — for taking bribes from a Petrobras contractor. 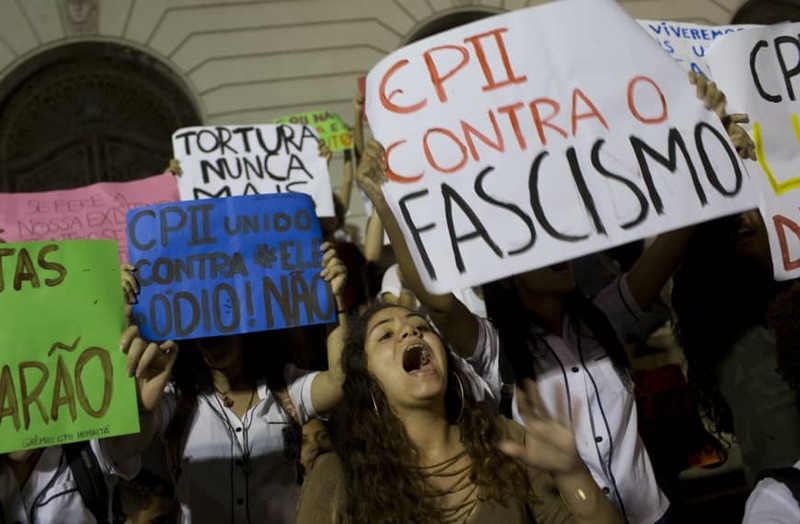 His once-mighty Workers’ Party said Tuesday the election was tainted by Moro’s probe, and vowed “resistance” to Bolsonaro’s government. 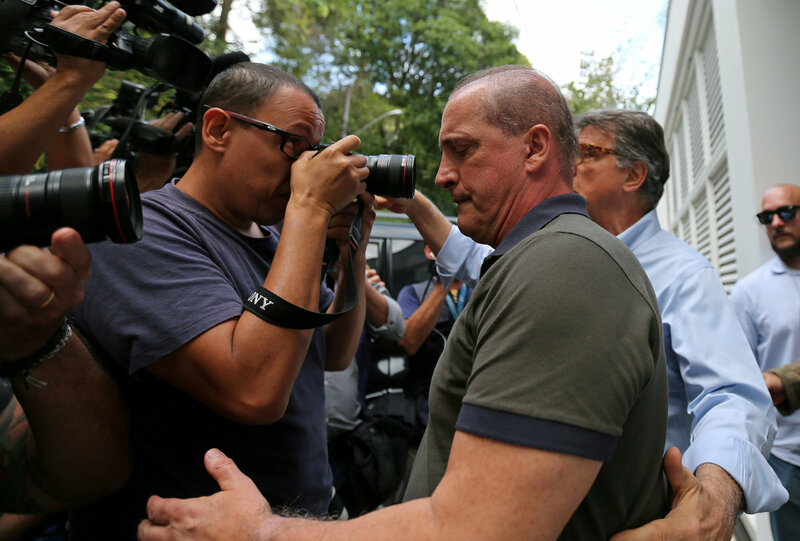 “The election result is a fact, but the process that led to that result was full of malfeasance and fraud,” said party leader Gleisi Hoffmann.